The small town of Sutherland Springs, Texas is located roughly 40 miles from San Antonio. Its population was 643. 60 of those residents were at the First Baptist Church worshiping on Sunday morning. At 11:30 CST, 26 of them were dead. In the early hours following this nightmarish mass shooting, we are still trying to learn the facts as to what happened. What we can tell from these very early stages are the shocking numbers of what has occurred. We know that as of the time of this article's writing, 26 people have been killed in the church after a gunman, 26-year-old Devin Kelley, opened fire on an unsuspecting crowd of worshippers. According to eyewitnesses, Kelley walked into the house of God, fired seemingly at random and quickly attempted to make his escape. At some point he was engaged by an armed good guy. This good guy who was also armed with a rifle was successful at causing Kelley to stop his rampage and try to escape. The good guy caught a ride from another Good Samaritan and together they followed Kelley all the while on the phone with dispatch (video below). Kelley lost control of his car and was held by the good guy with a gun until the police arrived. Kelley died from a gunshot wound. It is unknown at this time if the wound was self-inflicted or not. The FBI and ATF are both reportedly on the scene and heading up the investigation into Kelley's motive as well as the tactics and loadout of the attack. Among those dead within the congregation were included pregnant women and the Church's pastor Frank Pomeroy's 14-year-old daughter. The President also spoke of the tragedy while on the first leg of his Asia trip via his Twitter account. Of the shooter at this time we know very little about the shooter, Devin Patrick Kelley. Kelley is was formerly in the Air Force. Kelley was court-martialed from the Air Force in 2012 following an assault that he committed on his wife and child. Kelley also served a year in jail for his crime. He purchased his firearm, a Ruger AR-556 from an Academy Sports & Outdoors in San Antonio, TX. Though he listed his address as Colorado Springs, Colorado when he bought the gun. He did not mention anything regarding his past jail time or criminal record on his background check when purchasing the gun. Reports indicate that the shooter had been texting with his mother in the hours before the attack and his mother and some other relatives were regular attendees of the church but were not in attendance during the incident. Once again, we see another tragedy befall not only a massive number of people but again it has struck a house of worship. 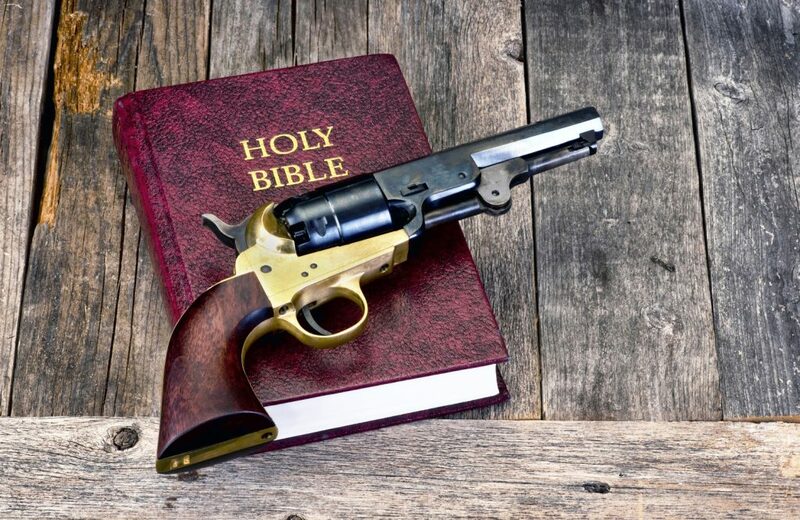 This story is still ongoing and we will be updating it with more facts as they become available, but if you are a member of a congregation, mass, or any sort of worshiping body I highly suggest that you read up about your rights to carry within a church and read our article about “Concealed Carry in Churches” as a way to prepare yourself in the event of something like this happening again. Obviously, we at Concealed Carry Inc. want to send our heartfelt sympathies to those affected by this, but more than that, we want to educate and train others to help prevent something like this from happening again. We will be bringing you more updates as they come in. Stay tuned. My question is simple: Was he on any form of drugs? Leave a Reply to Ben 'Roamer' Jones Click here to cancel reply.